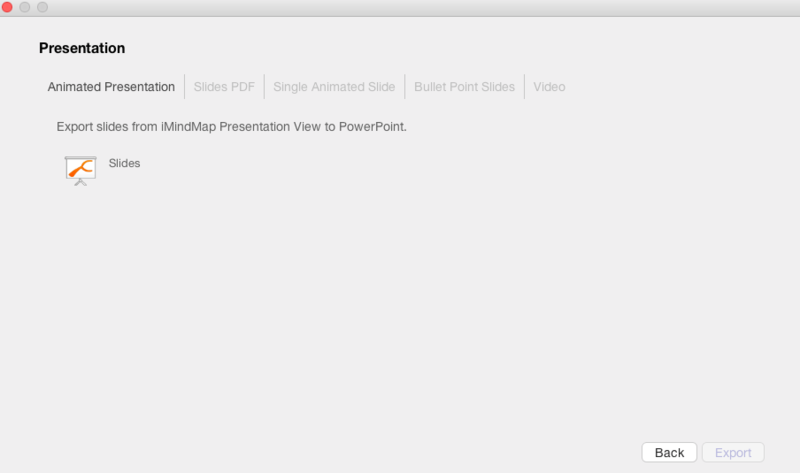 Animated slides - Export from presentation to PowerPoint. Slides PDF - Export slides from presentation to PDF. Single animated slide - Put your map on one single PowerPoint slide and animate branch by branch. 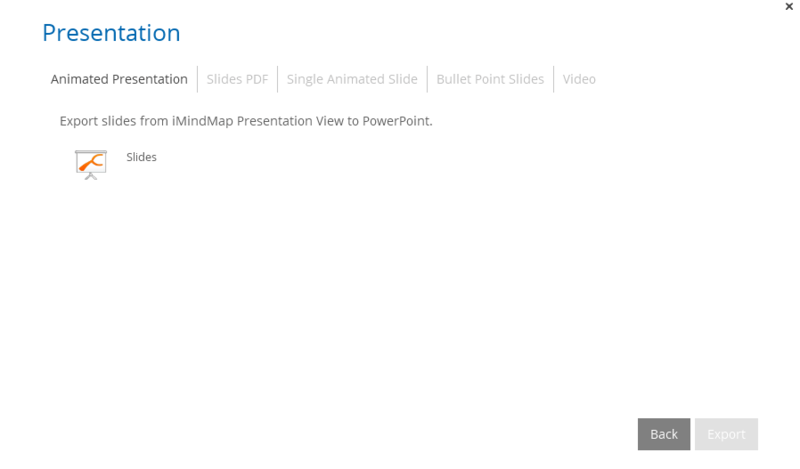 Bullet point slides - Convert your Mind Map in to bullet point slides in PowerPoint. You have the option here to customise your template and arrange your branches. You can also choose to include any notes, images and an 'Any questions?' slide. Video - Please see 'Exporting presentations to Video and YouTube' help guide.